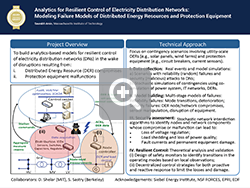 The project aims to build analytics-based models and resilient control algorithms of two classes of failures to electricity distribution networks: disruption of distributed energy resources (DERs), and malfunctioning of protection equipment (e.g., circuit breakers, voltage/current monitors).These models will be built using available real-world data from past contingency situations faced by distribution utilities, and from conducting stochastic simulations using power network simulators. We will consider both reliability (random failures) and security (malicious attacks)events. 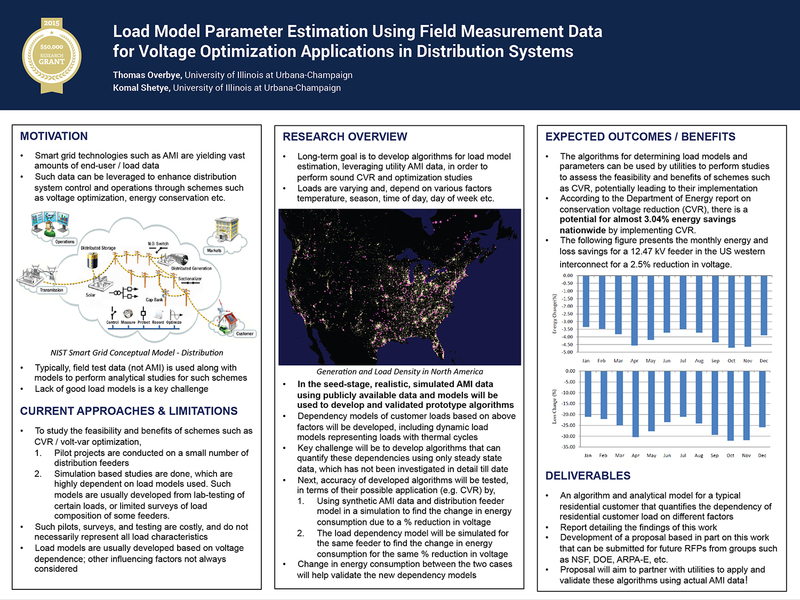 Failure to incorporate these models in algorithms for distribution network control can cause loss of voltage regulation, load shedding, permanent damage to equipment, and even cascading effects to other distribution networks. 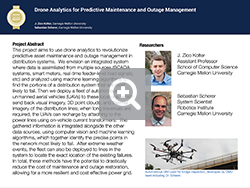 The project addresses this challenge by integrating analytics-based models of failure events with algorithms for voltage regulation and load/DER control, and switching of protection equipment. Saurabh Amin is the Robert N. Noyce Career Development Assistant Professor in the Department of Civil and Environmental Engineering, Massachusetts Institute of Technology (MIT). His research focuses on the design and implementation of high confidence network control algorithms for infrastructure systems. He works on robust diagnostics and control problems that involve using networked systems to facilitate the monitoring and control of large scale critical infrastructures, including transportation, water and energy distribution systems. He also studies the effect of security attacks and random faults on the survivability of networked systems, and designs incentive-compatible control mechanisms to reduce network risks. Dr. Amin received his Ph.D. in Systems Engineering from the University of California, Berkeley in 2011, and NSF CAREER award in 2015. Despite the fact that access to reliably-present electric power is of paramount importance for quality of life and economic stability, utilities worldwide often depend solely on customer-generated reports to learn the location, duration and size of service interruptions. We propose a new low-cost crowd-sourced method of monitoring distribution-level power outages and restorations through the use of unmodified smartphones. We call this system GridWatch (Klugman et al 2014). The key insight is that smartphones can detect power outages by monitoring changes to their own charging state, use existing on-phone sensors to identify when a change in charge state likely represents a power outage or restoration, and corroborate these locally sensed reports with other phones through cloud-based services. The resultant data stream, combined with advances in machine learning, distributed data-stream processing, and complex network analysis, will allow GridWatch to make both immediate and longitudinal determinations about the state of the power grid, thereby providing a generational improvement in the data available to utility companies, regulators, researchers, and ratepayers. Academy of Engineering, and winner of the ACM Infosys Foundation award for his work on large-scale services. Mr. 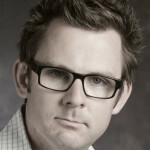 Brewer was named a “Global Leader for Tomorrow” by the World Economic Forum and “most influential person on the architecture of the Internet” by InfoWorld. Power grids are networks comprised of multiple layers (physical, cyber, economic, and social) with extremely complex interactions. The natural evolution of technology is driving these systems to large-scale, complex, and highly-optimized interconnected systems with strong coupling and increased dependencies between different layers. Cyber-physical security risk refers to fragility that arises from specific interactions between the cyber and physical layers. As the cyber layer in these systems evolves to a more expansive layer to improve performance and robustness through sophisticated feedback loops, it also creates new fragilities that arise from adversarial cyber attacks or even random disturbances on the most critical feedback loops to create a substantial physical damage. While the existing body of literature on cyber-physical security is extensive, a unified foundational framework for modeling, analysis, monitoring, and containment of cyber-physical security risk does not exist today. Specifically, recent advances in data sciences and technologies point to the methodological gap that exists in transferring large amounts of offline and real-time data from the grid to computationally tractable models. In view of the absence of a methodological paradigm that leverages availability of data to advance frontiers of research and technology in cyber-physical security, we propose to develop such a framework in steps, through development of abstract mathematical models of cyber-physical systems as interconnected subsystems, statistical inference, and principles of robust control theory. Munther A. Dahleh received his Ph.D. degree from Rice University, Houston, TX, in 1987 in Electrical and Computer Engineering. Since then, he has been with the Department of Electrical Engineering and Computer Science (EECS) at MIT in Cambridge, MA, where he is now the William A. Coolidge Professor of EECS. He is currently the Director of the newly formed MIT Institute for Data, Systems, and Society (IDSS). Previously, he held the positions of Associate Department Head of EECS, Acting Director of the Engineering Systems Division, and Acting Director of the Laboratory for Information and Decision Systems. He was a visiting Professor at the Department of Electrical Engineering, California Institute of Technology in Pasadena, CA, for the spring of 1993. He has consulted for various national research laboratories and companies. Dr. Dahleh is interested in Networked Systems with applications to Social and Economic Networks, Transportation Networks, Neural Networks, and the Power Grid. Specifically, he focuses on the development of foundational theory necessary to understand, monitor, and control systemic risk in interconnected systems. A Fortune 100 Company, EDF is one of the world’s leading integrated energy companies, active in all areas of business related to generation, transmission, distribution and end-uses of electricity. Several departments in EDF R&D (including STEP and OSIRIS) are conducting research in the area of “local energy management”, which encompasses problems of real-time control of co-generation (heat and power) systems of local urban energy production, of buildings, and so on. In local energy management, production systems might serve an entire neighborhood, and are most often run in an “ad-hoc” fashion that is typically very sub-optimal. The promise of optimization and control in this context is substantial; some estimates put the potential relative gains at 4% to 15%. So far, STEP has developed a model predictive approach that relies on linearized models, and has begun its implementation in production. A big challenge in this approach is that it relies on a very accurate prediction of demand. 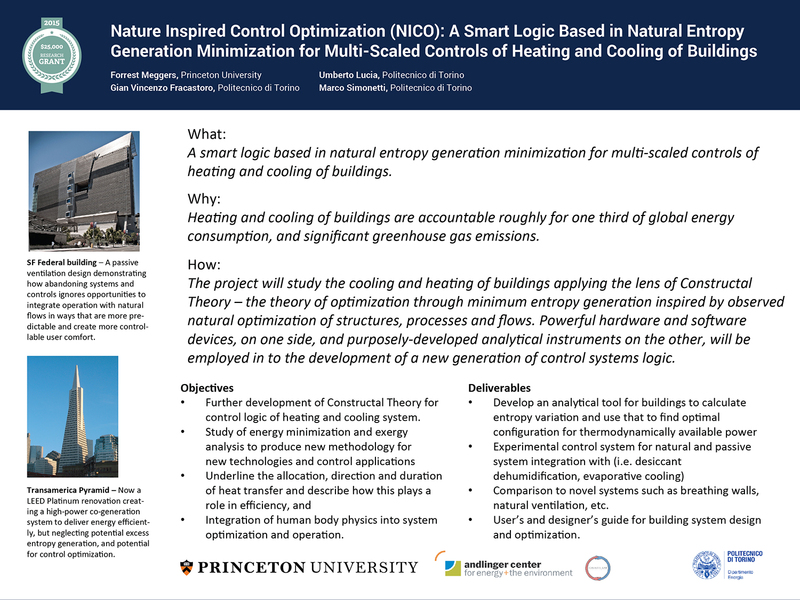 In the past year, the PI has begun work in collaboration with STEP and OSIRIS, developing robust optimization methods for co-generation systems and also for global energy management. 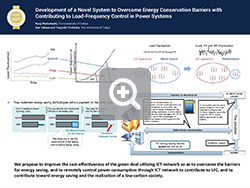 This preliminary work indicates that there are major potential benefits that can be derived from using robust optimization for local and global energy management. However, several areas remain to be investigated before the full benefits of the approach can be evaluated, tested, and potentially implemented. We plan to submit a proposal to EDF R&D for a longer-term investigation of such challenges, and another to DOE for the broader area of local energy management. Laurent El Ghaoui graduated from École Polytechnique in 1985, and obtained his PhD in Aeronautics and Astronautics at Stanford University in March 1990. 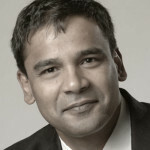 He joined the Electrical Engineering and Computer Sciences (EECS) department at UC Berkeley in 1999, where he currently is a full professor. 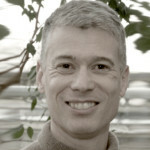 Laurent is the author of three books and more than 100 research papers, and is the recipient of a Bronze Medal for Engineering Sciences from the Centre National de la Recherche Scientifique (France), a CAREER award, an Okawa research grant, a Google research grant, and a SIAM optimization prize. His research interests include robust optimization, large-scale algorithms, machine learning, with applications in finance, energy management, and text analytics. The GUTP (www.gutp.jp), Green University of Tokyo Project, is a multi-stakeholder R&D consortium composed of more than 40 private companies and more than 15 NPOs. Using the live testbed, i.e., 12-floor R&D and R&E building in Hongo Campus of The University of Tokyo, we developed and deployed the IP-based open facility system with multi-vendor environment, based on an “Internet by Design” discipline. The protocol and architecture framework has been standardized as IEEE1888 (UGCCnet; Ubiquitous Green Community Control networks) system. HVAC, lights, digital signage, various field-bus or other sensors and actuators are integrated through common shared data repository, while running multiple applications, which can refer the common database and control field devices. The primary objective of our smart building or smart facility was energy savings, though the real goal is building a sustainable eco-system delivering (1) energy savings, (2) BCP (Business Continuation Plan) function, (3) improvement of productivity and (4) new applications and innovations with a single shared Internet-based platform. The R&D is based on strategic collaboration/cooperation with various global universities and with stakeholder institutions in this industry segment, and delivers open source, SDK (Software Development Kits) and standardizations. Hiroshi Esaki received his BE and ME degrees from Kyushu University, Japan, in 1985 and 1987, respectively. He received a PhD from University of Tokyo, Japan, in 1998. In 1987, he joined the Research and Development Center, Toshiba Corporation, where he engaged in the research of ATM systems. From 1990 to 1991, he was at Applied Research Laboratory of Bellcore Inc., New Jersey (USA), as a residential researcher. From 1994 to 1996, he was at CTR (Center for Telecommunication Research) of Columbia University in New York (USA). From 2006-2010 and from 2013, he has served on the BoT (Board of Trustee) for ISOC (Internet Society). Dr. Esaki is a director of the WIDE Project since 2010, director of Japan Data Center Council since 2009, and director of Green University of Tokyo Project since 2008. 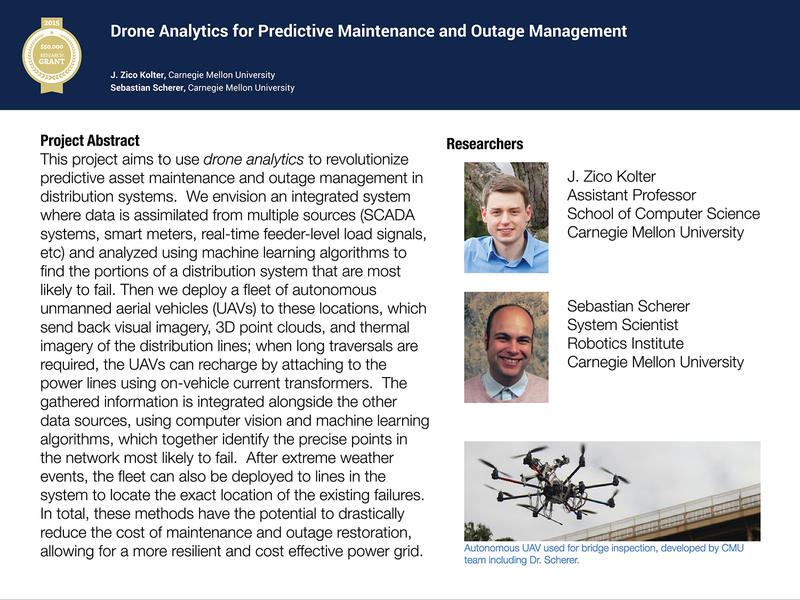 The project aims to use drone analytics to revolutionize predictive asset maintenance and outage management in distribution systems. We envision an integrated system where data is assimilated from multiple sources (SCADA systems, smart meters, real-time feeder-level load signals, etc) and analyzed using machine learning algorithms to find the portions of a distribution system that are most likely to fail. Then we deploy a fleet of autonomous unmanned aerial vehicles (UAVs) to these locations, which send back visual imagery, 3D point clouds, and thermal imagery of the distribution lines; when long traversals are required, the UAVs can recharge by attaching to the power lines using on-vehicle current transformers. The gathered information is integrated alongside the other data sources, using computer vision and machine learning algorithms, which together identify the precise points in the network most likely to fail. After extreme weather events, the fleet can also be deployed to lines in the system to determine the exact location of the existing failures. In total, these methods have the potential to drastically reduce the cost of maintenance and outage restoration, allowing for a more resilient and cost effective power grid. Zico Kolter is an Assistant Professor in the School of Computer Science at Carnegie Mellon University. From June 2014 to July 2015, he has served as Chief Data Scientist at C3 Energy. His work and research focuses on the intersection of machine learning and power systems. He has worked on problems ranging from energy analysis of homes and buildings, probabilistic forecasting of energy demand and generation, wide-area control of grid generation, and developing predictive maintenance and outage prediction methods in distribution systems. He received his PhD in Computer Science from Stanford University in 2010, and was a postdoctoral fellow under the Computing Innovations Fellowship at the Massachusetts Institute of Technology. Software-­defined networking (SDN) is an emerging networking paradigm that provides unprecedented flexibility in dynamically reconfiguring an IP network. It enables various applications such as network management, quality of service optimization, and system resilience enhancement. The value SDN brings to significantly enhance the resilience of future grids remains largely unexplored. We assert that without a systematic understanding of these issues and convincing validations of proposed solutions, the power industry will unlikely embrace SDN, since resilience is always a key consideration for critical infrastructures. 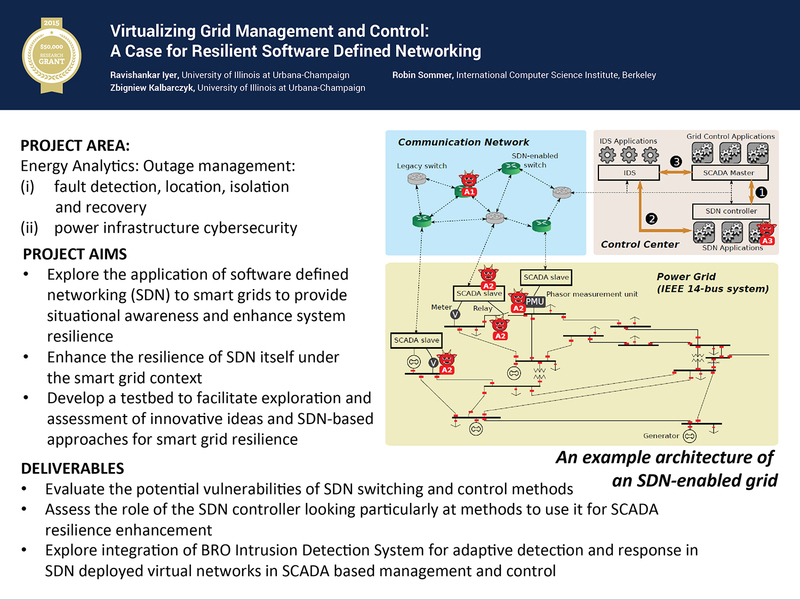 In this proposed project, we aim to develop new approaches to (1) leverage the dynamic configurability of SDN to enhance the resilience of energy delivery systems and grids to malicious attacks and (2) enhance the resilience of SDN itself under the smart grid context. 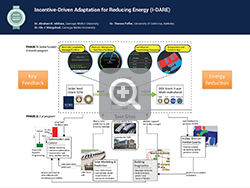 The unique aspect of this effort will be the resiliency validation test bed that integrates a power system simulator and a SDN based SCADA network to allow assessment of resiliency of energy delivery. 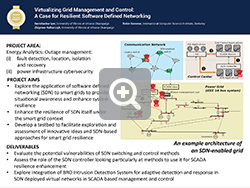 Investigating SDN in the context of energy delivery does not only contribute to SDN research but it brings a new direction in cyber physical system research. It also opens up several new grant opportunities and provides an attractive way to engage undergraduate and graduate students. Ravishankar Iyer is the George and Ann Fisher Distinguished Professor of Engineering at the University of Illinois at Urbana-­Champaign. He holds appointments in the Department of Electrical and Computer Engineering, the Coordinated Science Laboratory and the Department of Computer Science, he serves as Chief Scientist of the Information Trust Institute and is affiliate faculty of the National Center for Supercomputing Applications. 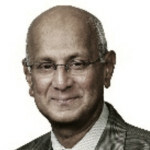 Dr. Iyer is a Fellow of the American Association for the Advancement of Science, the IEEE, and the ACM. He has received several awards, including the AIAA (American Institute for Aeronautics and Astronautics) Information Systems Award, the IEEE Emanuel R. Piore Award and the 2011 Outstanding Contributions award by the Association of Computing Machinery -­ Special Interest Group on Security. Dr. Iyer is also the recipient of the degree of Doctor Honaris Causa from Toulouse Sabatier University in France. thermostat). However infrastructure choices far outstrip individual behavior. 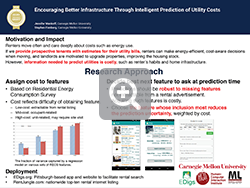 Home infrastructure can impact energy use by as much as 10 times more than in-home behaviors, yet most efforts to reduce energy use focus on in-home behavior because infrastructure upgrades are often very costly. However, this ignores the potential impact of choosing among potential homes. In particular, the 30% of the U.S. population who rent their homes move an average of every two years, meaning that they can potentially choose improved infrastructure much more frequently than we can expect home owners to upgrade their infrastructure. In addition, if prospective renters care about energy efficiency, this will apply pressure to landlords to improve their infrastructure, thus influencing not only the energy use of individuals but also the overall quality of the housing stock. 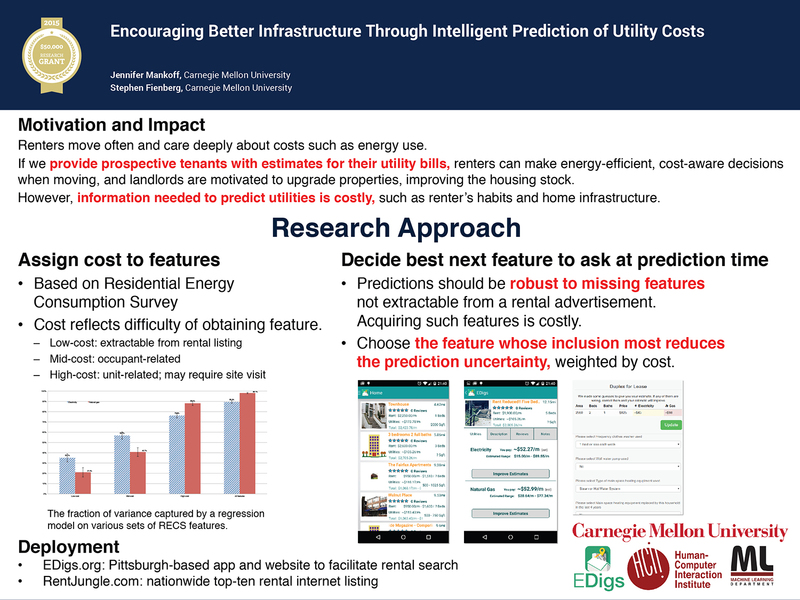 Our proposal is to develop the technology necessary to make predictions about expected energy bills and to collect information about potential apartments. We will achieve this by combining low-cost, readily available information about both units and prospective occupants crowdsourced from prospective tenants who visit apartments to accurately estimate energy use. 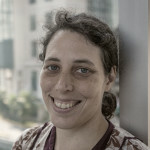 Jennifer Mankoff is faculty in the Human-Computer Interaction Institute at CMU. She has been working in the domain of landlord/tenant interactions since 2009 and has published seminal work exploring energy use in low income communities and how this plays out within the landlord/tenant relationship. She was awarded the Sloan Fellowship and the IBM Faculty Fellowship. She earned her BA at Oberlin College and her PhD in Computer Science at the Georgia Institute of Technology. 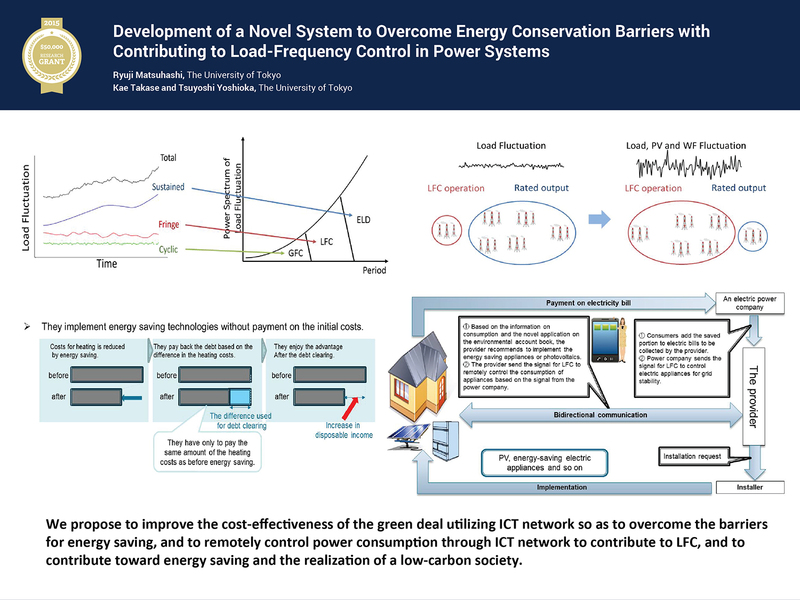 Our research aims to analyze the following: how new businesses related to energy efficiency improvements and household sector demand response can produce sufficient profits while helping Japan realize a low-carbon society under a liberalized electricity market. We call such new business organizations Green Power Moderators (GPMs). GPMs generate revenue by mediating large numbers of consumers and independent system operators (ISO) for the value consumers produce by contributing to automatic demand response (ADR) through appliances such as electricity storage systems. GPMs can also charge for energy efficiency improvement consultations, by installing solar power on rooftops, and by upgrading inefficient appliances to efficient ones. Neither ADR nor energy consulting with households have been economically viable commercial businesses in the past, but utilizing information and communications technologies (ICT) could make this possible. Once we develop algorithms for the types of ADR that households can join, a GPM will automatically control appliance usage under contracts to join the ADR system, thus generating commissions. For household energy consulting, once algorithms and software for automatic consulting have been developed, the GPM will automatically receive fees for each transaction. Our research will evaluate whether such GPMs can be profitable and propose policies to support the development of GPM businesses for a low-carbon society. Ryuji Matsuhashi earned a Bachelor of Engineering degree from the Department of Electronics, Faculty of Engineering from the University of Tokyo in 1985, and a Doctor of Engineering in 1990 from the same department. In 1994, he became an Associate Professor at the Department of Geosystem Engineering, Faculty of Engineering, the University of Tokyo after serving as a Research Associate from 1990 to 1993. In 1999, he became an Associate Professor at the Institute of Environmental Studies, Graduate School of Frontier Sciences, the University of Tokyo. He became a Professor at the same institute of the University of Tokyo in 2003. Since 2011, Dr. Matsuhashi has been a Professor at the University’s Electrical Engineering and Information Systems, Graduate School of Engineering. Dr. Matsuhashi’s intensive works in the analysis of energy systems and global environmental issues produced various books and papers. He is currently a member of the Japan Society of Energy and Resources, the Institute of Electrical Engineers of Japan, and the Japan Institute of Energy. Traditionally, power and transportation infrastructures operate independently of each other. However, the electrification of transportation introduces a strong spatio-temporal tie between transportation and power infrastructures through electric vehicle (EV) charging. Due to (i) the mobile nature of energy storage in EVs and (ii) the dependency of EVs’ energy demand on trip characteristics, understanding such a tie becomes crucial. 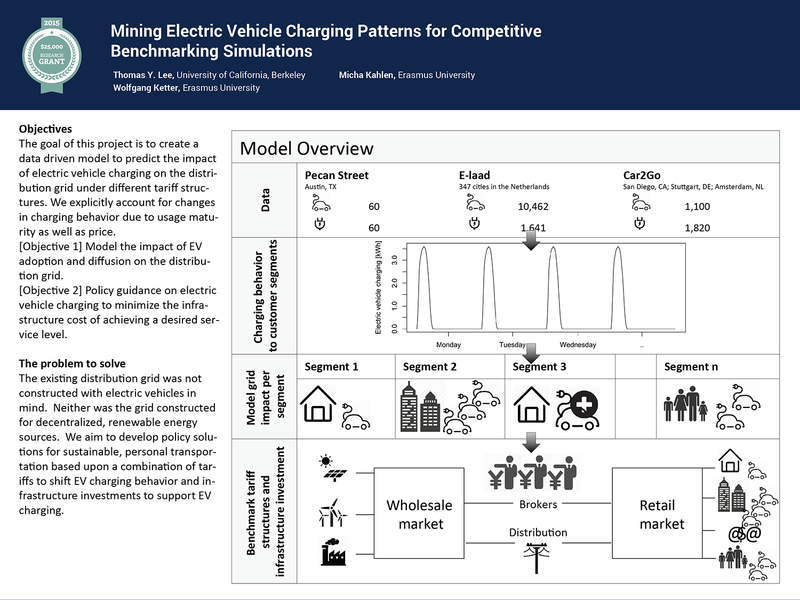 Hence, this project proposes to study the interactions between EV charging, human mobility needs, the transportation network, and power infrastructure. The current paradigm shift in power systems towards distributed energy resources requires a rethinking of the distribution-level assets—particularly energy storage—in the power grid. Hence, understanding the inherent load flexibility in EV charging and storage, and capturing this flexibility with the necessary spatio-temporal resolution, has the potential to reveal novel load management technologies. The main objective of this project is to understand how transportation electrification impacts the power distribution system at a sub-load aggregation point when transportation network constraints and human mobility needs are considered. The University of California, at Berkeley and the Massachusetts Institute of Technology are at the forefront of human mobility and energy research, and with this project we hope to expand our understanding of the interaction between the two research areas. 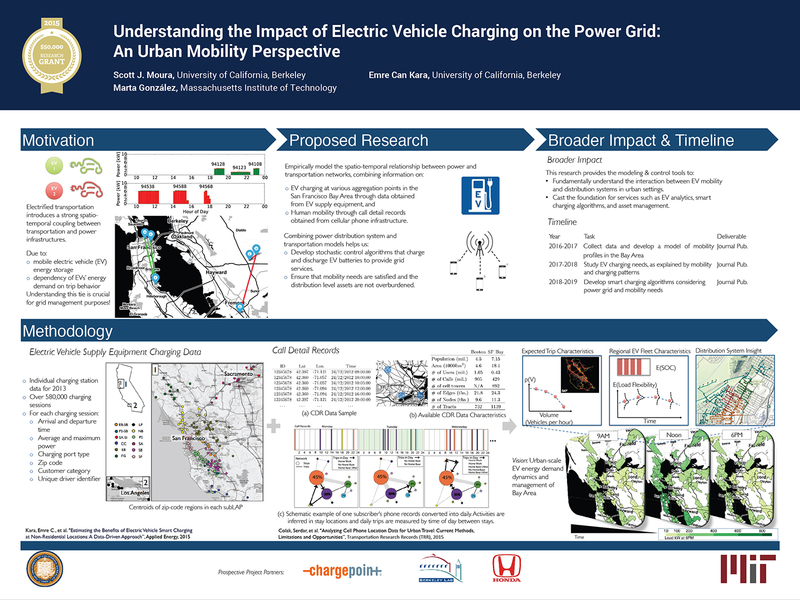 The proposed study will be the first to characterize these interactions using real data streams collected from different sources, thus deepening the larger research community’s knowledge of electrified transportation. Scott Moura is an Assistant Professor at UC Berkeley in Civil and Environmental Engineering and Director of eCAL: Energy, Controls, and Applications Lab. He received his PhD degree from the University of Michigan in 2011, the MS degree from the University of Michigan in 2008, and the BS degree from the UC Berkeley, in 2006, all in Mechanical Engineering. He was a postdoctoral scholar at UC San Diego in the Cymer Center for Control Systems and Dynamics, and a visiting researcher in the Centre Automatique et Systèmes at MINES ParisTech in Paris, France. He is a recipient of the National Science Foundation Graduate Research Fellowship, UC Presidential Postdoctoral Fellowship, Hellman Fellows Fund, University of Michigan Distinguished ProQuest Dissertation Honorable Mention, and College of Engineering Distinguished Leadership Award. Dr. Moura’s research interests include optimal and adaptive control, PDE control, energy storage, and smart grid batteries. The design, upgrade, and real-time system and market operation of power networks are all contingent upon several optimization problems that are non-convex and hard to solve due to two main reasons: (i) the nonlinearity induced by the laws of physics, and (ii) the presence of integer variables. 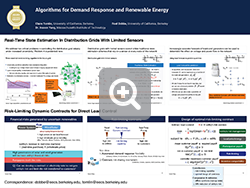 The existing solvers for energy related optimizations either make potentially conservative approximations or deploy general-purpose local-search algorithms to handle the non-convexities, which may incur tens of billions of dollars annually. The non-convexity and general intractability of power optimization problems have a direct impact in the practice of energy efficiency, and is arguably one of the most fundamental issues that hold back power engineering, particularly in the context of market based systems and massive penetration of intermittent renewable resources. 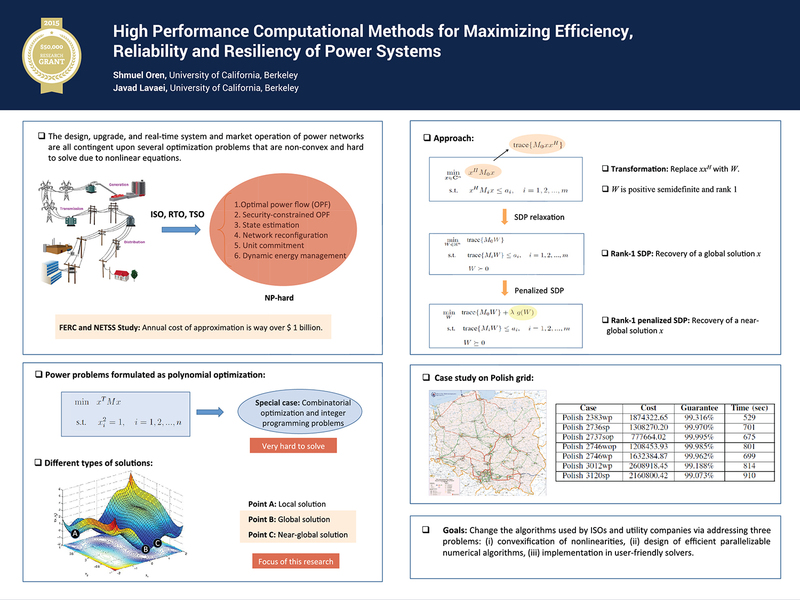 The primary objective of this project is to address these computational challenges by developing high-performance optimization techniques that can be applied to a broad set of non-convex energy problems. 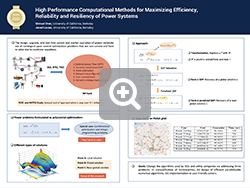 This is an interdisciplinary project, which lies at the intersection of optimization techniques, numerical algorithms, power systems, electricity market, risk management and control theory. The aim is to significantly advance the area of optimization for power systems. Shmuel Oren is the Earl J. Isaac Professor in Industrial Engineering and Operations Research at UC Berkeley and former Chairman of that department. He is a co-founder and the Berkeley site director of PSERC, a multi-university Power Systems Research Center sponsored by NSF and industry members since 1996. Dr. Oren has expertise in Operations Research, particularly optimization. His academic research and consulting activities focus on mathematical modeling, analysis and design of energy markets, power system planning and operation. He has been a consultant to numerous private and public organizations in US and abroad. He served as adviser to the Energy Division of the California PUC, was a Senior Adviser to the Market Oversight Division of the Texas PUC, and was a Member of the California ISO Market Surveillance Committee. He holds a PhD from Stanford University in Engineering Economic System and is a Fellow of the IEEE and of INFORMS. Smart grid technologies such as advanced metering infrastructure (AMI) are providing a large amount of real-time information from the power grid, which is leading to the development of advanced control algorithms such as voltage optimization/reduction for energy conservation. However, a widespread implementation of these control technologies in distribution systems still faces challenges, such as the absence of sound models to accurately assess the impacts and benefits of such schemes, with load models being the most variable and uncertain. 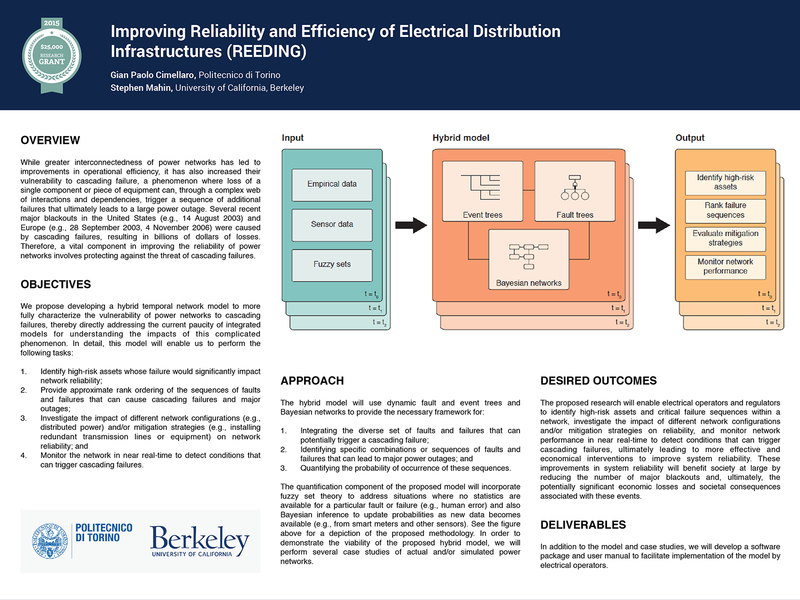 This seed-stage project will aim to lay the technical groundwork towards developing a comprehensive research proposal, on the development of algorithms and tools for developing load models from grid data. The final proposal would be targeted to agencies such as the Department of Energy (DOE), National Science Foundation (NSF) and power industry/utility consortiums such as Power System Engineering Research Center (PSERC). 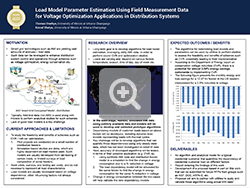 In regards to the overall goal of this proposed work, such load models would be useful to utilities to perform sound simulation studies to assess the feasibility and impacts of implementing schemes such as Conservation Voltage Reduction (CVR). Thomas Overbye is the Fox Family Professor of Electrical and Computer Engineering at UIUC. Dr. Overbye received his BS, MS, and PhD degrees in Electrical Engineering from the University of Wisconsin-Madison. Prior to joining UIUC, he worked as a power system operations engineer for Madison Gas and Electric. 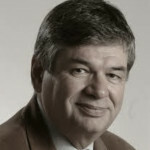 He is also the original developer of PowerWorld Simulator, an innovative computer program for power system analysis and visualization and a cofounder of PowerWorld Corporation. He is also a member of the US National Academy of Engineering (NAE). His current research interests include visualization of power system information, power system dynamics, power grid big data applications, cyber security, and modeling of the power system impacts of geomagnetic disturbances. renewable energy sources, as well as demand-side resources such as electric loads. This utilization is challenging because of uncertain renewable generation and inelastic demand. Furthermore, the interdependencies between system states of power networks or interconnected loads complicate several decision-making problems. Growing interactions between power and energy systems and human agents with advances in sensing, computing and communication technologies also increase the need for personalized operations. We propose to develop modeling, control, and optimization tools to help to overcome these challenges and improve the sustainability of electric power systems. Specifically, we propose a new dynamic contract approach for direct load control that can manage the financial risks of utilities and customers, where the risks are generated by uncertain renewable generation. The key feature of the proposed contract method is its risk-limiting capability, which we believe can be achieved by formulating the contract design problem as mean-variance constrained risk sensitive control. To design an optimal contract, we propose to develop a dynamic programming solution method based on a novel dynamical system approach to track and limit risks. We propose to test the contract framework in a simulation framework developed by us, using data collected from California and Texas. 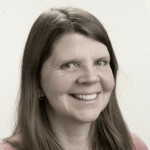 Claire Tomlin is a Professor of Electrical Engineering and Computer Sciences at UC Berkeley, where she holds the Charles A. Desoer Chair in Engineering. She held the positions of Assistant, Associate, and Full Professor at Stanford University from 1998-2007, and in 2005 joined UC Berkeley. She has been an Affiliate at Lawrence Berkeley Lab in the Life Sciences Division since January 2012. Dr. Tomlin is an IEEE Fellow, and she received the Erlander Professorship of the Swedish Research Council in 2010, a MacArthur Fellowship in 2006, the Eckman Award of the American Automatic Control Council in 2003, the MIT TR100 award in 2003, and the NSF Career award in 1999. She works in hybrid systems and control, with applications to biology, robotics, and air traffic systems. While greater interconnectedness of power networks has led to improvements in operational efficiency, it has also increased their vulnerability to cascading failure, a phenomenon where loss of a single component or piece of equipment can, through a complex web of interactions and dependencies, trigger a sequence of additional failures that ultimately leads to a large power outage. Several recent major blackouts in the United States (e.g., 14 August 2003) and Europe (e.g., 28 September 2003, 4 November 2006) were caused by cascading failures, resulting in billions of dollars of losses. Therefore, a vital component in improving the reliability of power networks involves protecting against the threat of cascading failures. Towards this end, we propose developing a hybrid temporal network model that integrates several advanced modeling techniques (including dynamic fault and event trees, Bayesian networks, and fuzzy sets) to more fully characterize the vulnerability of power networks to cascading failures. The model will enable electrical operators and regulators to identify high-risk assets and critical failure sequences within a network, investigate the impact of different network configurations and/or mitigation strategies on reliability, and monitor network performance in near real-time to detect conditions that can trigger cascading failures. is the Chair of the ASCE Committee on “Disaster Resilience of Structures, Infrastructures and Communities.” He has authored 38 journal papers, 98 international conference papers, 11 book chapters and one edited book. Bibliometric indices: total number of citations: 345 (Web of knowledge) 1033 (Google Scholar); h- index: 11 (Web of Science). Dr. Cimellaro’s current research interests address community resilience to natural disasters, risk mitigation of civil infrastructures failures including interdependencies, using advanced technologies such as smart phones. Dr. Cimellaro has recently been awarded a grant of 1.3 M € by the European Research Council for the project “IDEAL RESCUE: Integrated Design and control of sustainable communities during emergencies” ERC-2014-StG (2015-2019). 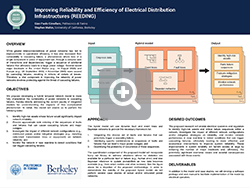 The objective of this project is to develop a framework for voltage regulation in power distribution networks with deep penetration of Distributed Energy Resources (DERs). Voltage violations in power distribution networks are traditionally handled by automatically-­controlled tap-­changing under load (TCUL) transformers, set voltage regulators (SVR), and manually-­controlled fixed/switched capacitors. However, existing equipment is not inherently designed to handle the variability introduced by DERs, and the lifetime of these components (e.g., the switches and tap changers) could be dramatically reduced due to the increased number of operations that they may undergo. A potential solution to this problem lies on the utilization of DERs to provide reactive power support for voltage regulation through the proper control of the power electronics that interface them with the grid. 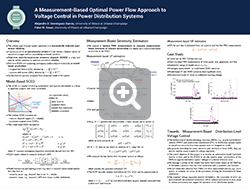 In this research, we pursue this idea and propose a framework for voltage control in power distribution networks that relies on controlling and coordinating the reactive power provided by DERs. 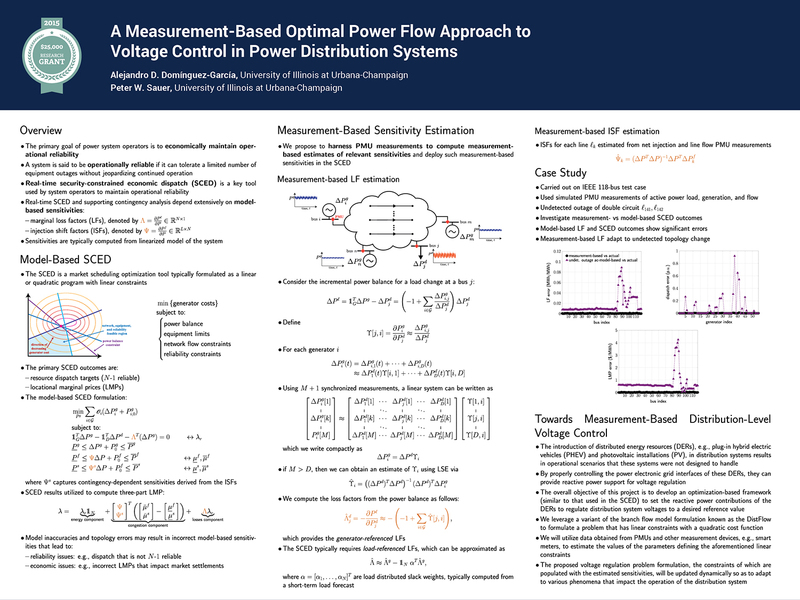 We will leverage the so-­called DistFlow model to formulate an optimization program the solution of which will provide the DER reactive power setting. In terms of implementing the proposed solution, we will not rely on an off-­line model of the system to formulate the optimization program; instead, we will utilize measurements across the system to populate the constraints of the optimization program. 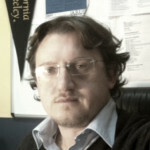 Alejandro Domínguez-­García received a degree of “Ingeniero Industrial” from the University of Oviedo in 2001 and a PhD degree in electrical engineering and computer science from MIT in 2007. He is an Associate Professor in the Electrical and Computer Engineering department at the University of Illinois at Urbana-­Champaign, where he is affiliated with the power and energy systems area. He also has been a Grainger Associate since August 2011. His research interests are in the areas of system reliability theory and control, and their applications to electric power systems and power electronics. 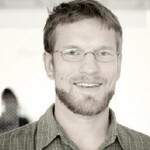 He received the NSF CAREER Award in 2010, and the Young Engineer Award from the IEEE Power and Energy Society in 2012. In 2014, he was invited by the NAE to attend the US Frontiers of Engineering Symposium, and selected by the UIUC Provost to receive a Distinguished Promotion Award. In 2015, he received the UIUC College of Engineering Dean’s Award for Excellence in Research. He currently serves as an Associate Editor for the IEEE Transactions on Power Systems and the IEEE Power Engineering Letters. 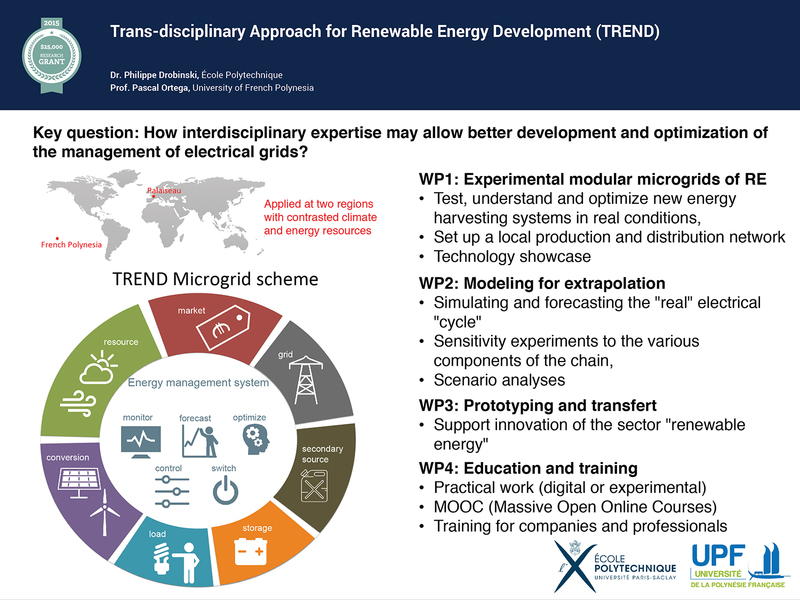 The TREND project aims to conduct trans-disciplinary research on microgrids theme of renewables, leading to develop experimental modular microgrids powered by a solar energy mix and/or wind power backed by a modeling system. The microgrids will be developed in two campuses under different climatic environments: the École Polytechnique under a mid-latitude continental climate and the University of French Polynesia under a marine Tropical environment. The “modular” nature of the microgrids will be used to test the sensitivity of the microgrid management to the various component parts, which include a system for forecasting the resource, based on both observation (nowcasting) and numerical modeling (forecasting), innovative photovoltaic and wind electric conversion systems, a compressed air, flywheel, thermodynamic and battery storage systems and an optimization software for the management of the network, accounting for the cost of electricity, consumption forecast and the local electricity production. 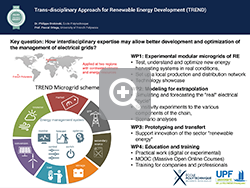 Such integrative research has a strong potential for innovation and the microgrids will also be used for higher education, open to any students of the Siebel Energy Institute, and the transfer of technology. Philippe Drobinski is a Research Director at CNRS and an associate professor at École Polytechnique. He specializes in atmospheric boundary layer meteorology and regional climate modeling. He is the Chair of the Group for Regional Climate and Environmental Studies of the Institut Pierre Simon Laplace (IPSL) and head of the InTrO (troposphere and interfaces) team at Laboratoire de Météorologie Dynamique (LMD). He has coordinated several national and international projects on Mediterranean meteorology and climate and its impact on water and energy. He is member of the World Climate Research Program as representative of the Mediterranean Regional Hydroclimate Project. Dr. Drobinski is the author or co-author of more than 110 book chapters and articles published in international peer-reviewed journals (H-index = 26). He teaches meteorology and renewable energy resources at the masters level at École Polytechnique. Over the next decade, the miniaturization of low-­cost, distributed sensing and real-­time computation will enable an unprecedented level of insight into energy usage patterns and behavior. This insight, critical to energy analytics, machine learning, behavioral modeling, and control algorithms, is poised to dramatically shift the current energy usage paradigm and result in a significant reduction in overall consumption. 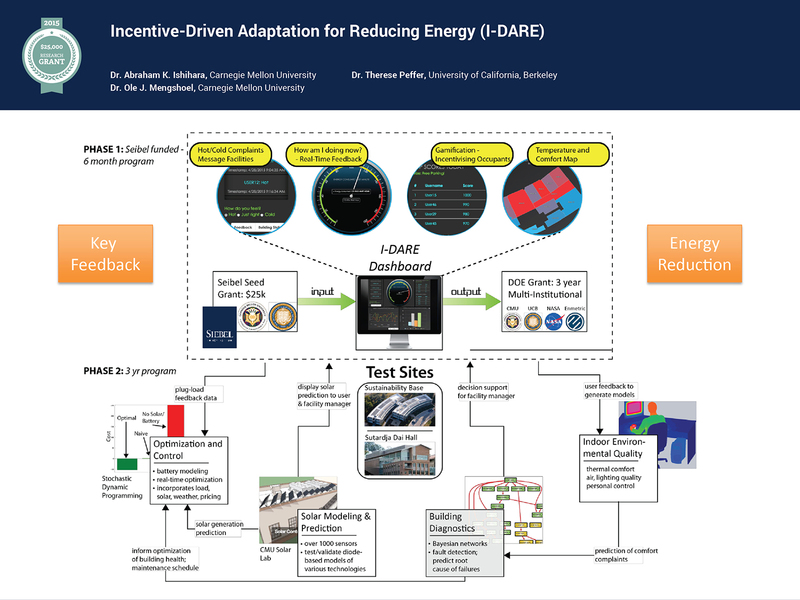 In this proposal, Carnegie Mellon University and UC Berkeley will conduct a highly-­focused pilot study in energy dashboard feedback at the NASA Ames Sustainability Base (located next to CMU Silicon Valley campus) and UC Berkeley Sutardja Dai Hall. This pilot study will evaluate (1) feedback strategies, (2) incentivization, and (3) the integration with building database software tools for facility managers. Based on the preliminary results of the above three items, a proposal will be submitted to the DOE and/or CEC where a three year funding program will be pursued to fully quantify and evaluate the impact in a unified framework. The proposal team will involve CMU, UC Berkeley, Enmetric, and NASA Ames. Abraham Ishihara’s primary areas of expertise are in control systems, optimization, and renewable energy research. He is the director of Carnegie Mellon’s solar energy lab, a unique test-­bed which leverages over 1000 sensors to obtain real-­time performance data for building and microgrid research. He received a Ph.D. in Aeronautics and Astronautics from Stanford University. The goal of this project is to understand the impact that widespread, consumer adoption of electric vehicles (EVs) will have on the residential energy grid. We propose to approach the question in two steps. 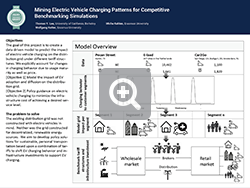 First, we will analyze actual consumer data, from the Netherlands and the United States, for behavioral patterns in the location, frequency, and volume with which consumers charge their EVs. We further aim to chart changes in behavior as consumers mature in their EV usage and predict future behavior. Second, we will use the actual consumer data to drive computer simulations that will allow us to test the impact of different grid infrastructure upgrades and pricing policies on EV charging behavior. This grant will give us the unique opportunity to combine our complementary skills in data analytics with innovations in data science infrastructure developed at UC Berkeley and EV domain expertise from the Erasmus Center for Future Energy Business (CFEB). Looking ahead, through the CITRIS research exchange, we hope to build connections to the UC Davis Plug-In Hybrid and Electric Vehicle Research Center. Our research will inform the energy industry’s adoption of decentralized generation by creating policies and tariffs that harmonize decentralized electricity production with EV charging. Decentralized generation holds promise for improving the viability and affordability of sustainable energy by providing service level guarantees at lower cost. The existing distribution grid was not constructed with electric vehicles in mind. Neither was the grid constructed for decentralized, renewable energy sources. 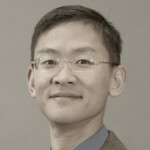 Thomas Lee is an Adjunct Associate Professor of Operations and Information Technology Management and Research Scientist at the Institute for Business Innovation at the University of California, Berkeley Haas School of Business. Professor Lee studies text and sequence mining, machine learning, and their application to product and service innovation. 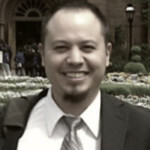 His current research develops semi-supervised topic models to analyze sequences of consumer retail purchases and combines queuing models with mining sequences of patient orders to redesign medical service delivery. The recent evolution of information technologies has greatly extended control and measurement capabilities in the field of cooling/heating. However, this has led to an all brawn, no brains dilemma, in the sense that possibilities and current deployments greatly outnumber consolidated useful applications. Thermodynamic optimization and constructal theory has shown so far that time and space structures in engineering play the main role towards the maximum efficiency. Maximum efficiency is critical for a low-carbon emitting society, a sustainable energy future and affordable equilibrium with nature. Heating and cooling of buildings are accountable for roughly one third of global energy consumption. 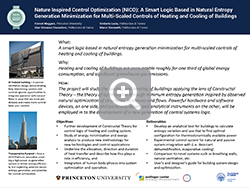 The project will study the cooling and heating of buildings applying the lens of constructal theory – the theory of optimization through minimum entropy generation inspired by observed natural optimization of structures and processes. Powerful hardware and software devices, on one side, and purposely-­developed analytical instruments on the other, will be employed into the development of a new generation of control systems logic. The project aims to develop a multi-­scaled distributed intelligent system. If many buildings control systems (or BMS, building management system) are linked in a network, and they ought to be, a district or city logic could emerge – a logic optimizing not the single building functioning, but the net one, based on the district energy structure. Forrest Meggers is the Assistant Professor, School of Architecture & the Andlinger Center for Energy and the Environment at Princeton University. PI Meggers leads the CHAOS Lab (Cooling and Heating for Architecturally Optimized Systems). With a bachelor in mechanical engineering, a masters in environmental engineering, and a PhD in architecture from the Building Systems group at the ETH Zurich, Dr. Meggers leads projects that bridge from fundamental science and engineering to design and realization. His highly interdisciplinary team, including supports projects around the theme of advanced energy systems that consider entropy and exergy as well as holistic environmental performance analysis metrics. This research identifies the specific technology, environmental, and human factors that drive grid reliability. Most outages are caused by stresses on grid infrastructure and ecosystems resulting from extreme or atypical weather. Additionally, grid modernization measures—such as renewables integration, undergrounding power lines, and demand response—may also impact grid reliability. We propose to forecast when, where, and why outages are likely to occur in future climate and grid modernization scenarios. We are assembling a comprehensive nation-wide database of the size, location, and duration of power outages for several major US utilities. The proposed research will examine three applications. First, we aim to propose new grid reliability metrics based on granular outage data to assess outage costs (for utility and ratepayer), and examine differences in reliability by customer type, location, and outage cause. These metrics can highlight susceptible populations/regions and local/national vulnerabilities to specific outage-causing events. 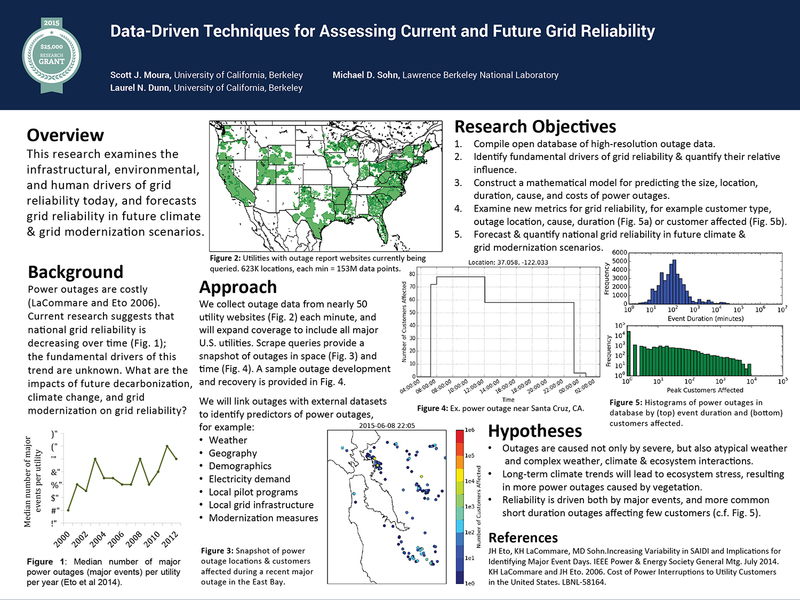 Second, we identify the fundamental environmental, infrastructure, and human drivers of grid reliability by identifying correlations between power outages and external factors (e.g., weather, geography, demographics). 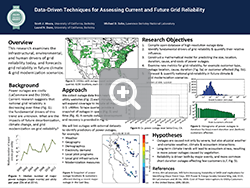 Finally, these reliability drivers can inform a data-driven model for predicting the typical size, location, duration, cause, and cost of power outages in future climate and grid modernization scenarios. Scott Moura is an Assistant Professor at UC Berkeley in Civil and Environmental Engineering and a Director of eCAL: Energy, Controls, and Applications Lab. He received the PhD degree from the University of Michigan in 2011, his MS degree from the University of Michigan in 2008, and his BS degree from the UC Berkeley, in 2006 – all in Mechanical Engineering. He was a postdoctoral scholar at UC San Diego in the Cymer Center for Control Systems and Dynamics, and a visiting researcher in the Centre Automatique et Systèmes at MINES ParisTech in Paris, France. He is a recipient of the National Science Foundation Graduate Research Fellowship, UC Presidential Postdoctoral Fellowship, Hellman Fellows Fund, University of Michigan Distinguished ProQuest Dissertation Honorable Mention, and College of Engineering Distinguished Leadership Award. Dr Moura’s research interests include optimal and adaptive control, PDE control, energy storage, smart grid batteries. The building sector represents more than 40% of the worldwide primary energy consumption and 72% of US electricity consumption. Much of this energy consumption is wasted. The potential to significantly reduce energy consumption in existing building stock is enormous. Which building should we target? Those that need capital-intensive hardware retrofits are not good candidates. A wiser investment is to target buildings that have poor operational energy efficiency. These allow low-cost efficiency improvements such as maintenance of faulty HVAC infrastructure or recalibration of the building control system. Increasing efficiency in such buildings is largely a software investment. 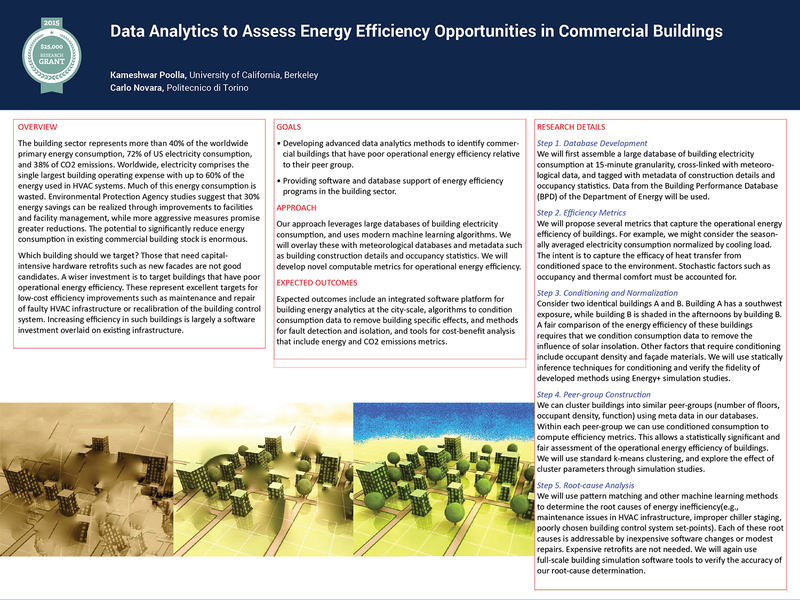 The goals of this project are to develop advanced data analytics methods to identify commercial buildings that have poor operational energy efficiency relative to their peer group. Our approach leverages large databases of building electricity consumption, and uses modern machine learning algorithms. We will overlay these with meteorological databases and metadata such as building construction details and occupancy statistics. We will develop novel computable metrics for operational energy efficiency. The expected outcomes include an integrated software platform for building energy analytics at the city-scale, algorithms to condition consumption data, methods for fault detection and isolation, and tools for cost-benefit analysis that include energy and CO2 emissions metrics. Kameshwar Poolla is the Cadence Distinguished Professor at UC Berkeley in EECS and ME. His research interests include many aspects of future energy systems including demand response, renewables, economics, security, and commercialization. He was the Founding Director of the IMPACT Center for Integrated Circuit manufacturing. Dr. Poolla co-founded OnWafer Technologies, which was acquired by KLA-Tencor in 2007. 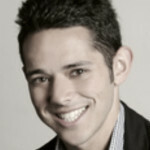 He has served as a technology and mergers/acquisitions consultant for Cadence Design Systems. Dr. Poolla has been awarded a 1988 NSF Presidential Young Investigator Award, the 1993 Hugo Schuck Best Paper Prize, the 1994 Donald P. Eckman Award, the 1998 Distinguished Teaching Award of the University of California, the 2005 and 2007 IEEE Transactions on Semiconductor Manufacturing Best Paper Prizes, and the 2009 IEEE CSS Transition to Practice Award. Electricity theft is a billion-dollar problem faced by utilities around the world and current measures are ineffective against sophisticated theft attacks that compromise the integrity of smart meter communications. Our goal is to detect and mitigate electricity theft by identifying anomalous consumption patterns reported to utility data centers. We plan to use a large dataset obtained from a real smart meter deployment as an example to model normal consumption patterns. Deviations from these patterns, which indicate anomalies, may be detected using statistical methods (such as the Kullback-­Leibler divergence), dimensionality reduction methods (such as Principal Component Analysis and its variants), clustering methods (such as Density-­Based Spatial Clustering of Applications with Noise), and time series methods (such as Auto-­Regressive Integrated Moving Average models). We plan to evaluate these methods, and hope to discover new ones in the process of exploration. The evaluation will be performed by simulating electricity theft attacks on consumers in our smart-­meter dataset and measuring false positive and false negative rates (receiver operating characteristic). William Sanders is a Donald Biggar Willett Professor of Engineering and head of the department of Electrical and Computer Engineering, University of Illinois at Urbana-­Champaign. 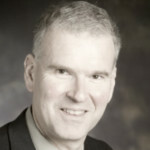 He is a Fellow of the IEEE, the ACM and the AAAS, a past Chair of the IEEE Technical Committee on Fault-­Tolerant Computing, and past Vice-­Chair of the IFIP Working Group 10.4 on Dependable Computing. Dr. Sanders was the founding Director of the Information Trust Institute at Illinois (2004-­2011), and served as the Director of the Coordinated Science Laboratory at Illinois from 2010 to 2014. He has published more than 250 technical papers in those areas. He is currently the Director and PI of the DOE/DHS Trustworthy Cyber Infrastructure for the Power Grid (TCIPG) Center, which is at the forefront of national efforts to make the US power grid smart and resilient. Energy and water are two increasingly correlated resources. Considering the water needed for cooling and operation of energy supply, energy efficiency measures might be a cost-effective approach to reducing water use. Similarly, water efficiency measures support energy savings as well. 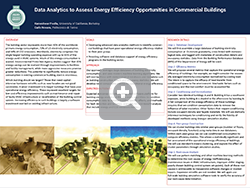 The goal of this research is to characterize the performance and cost-effectiveness of different efficiency measures in buildings, using data for both residential and academic/research building scales. We will develop models of different building efficiency measures to predict the impacts of different investments. The outcome of this research will be cost curves of energy/water efficiency, representing suitable measures for furthering sustainability in the built environment. Our research will quantify the water and energy savings potential from specific efficiency measures that can be implemented readily at the residential and academic/research building scale. This research provides solutions to the challenge of sustainability in the built environment. The research intends to determine, in cost-constrained environments, what trade-offs provide the best cost-performance results for coupled water and energy savings. Results from our work will reveal suitable energy/water efficiency measures in buildings that meet both performance and cost-effectiveness standards. These energy/water efficiency investments would benefit utilities (both energy and water) in promoting incentive or education programs, as well as society in reducing demands. We plan to quantify benefits and demonstrate that cost-effective strategies can have substantial impact. energy-water nexus pertaining to urban metabolism, decision-making, and public policy. Most of the medium-run growth in global energy demand is forecast to come from the developing world. In Kenya, the country that we propose to study, the national electrification rate is widely expected to increase dramatically over the coming years. As a result, there is a need to better understand the drivers and patterns of electricity consumption and reliability. In the proposed project, we will establish a multi-year energy analytics research partnership with Kenya Power focusing on two complementary objectives: (1) Research— in which we will analyze Kenya Power’s vast customer and network databases to produce rigorous economics findings on trends and drivers of electricity consumption and reliability, and (2) Capacity building—in which we will share energy analytics techniques with Kenya Power personnel to incorporate rigorous research and analysis methods into ongoing decision-making processes. 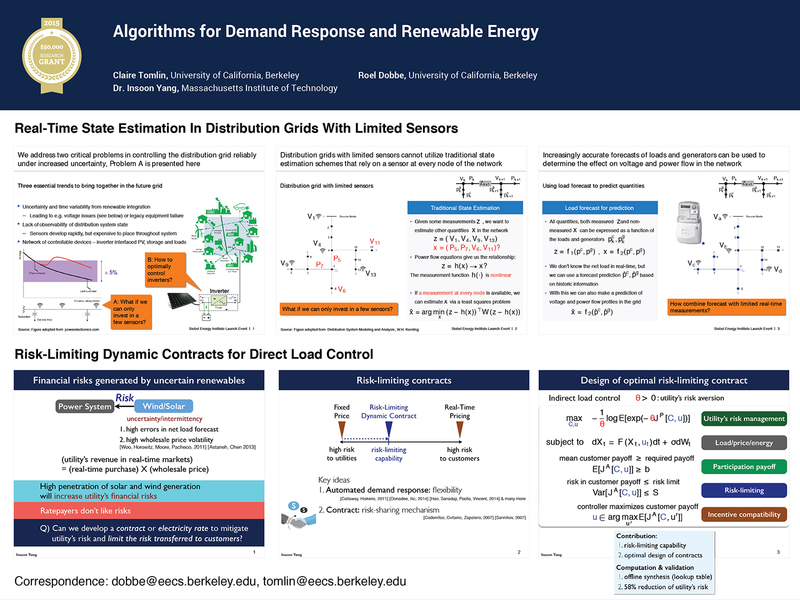 Seed funding of $50,000 will support UC Berkeley researcher and staff time, travel expenses, and initial data work to estimate the elasticities of demand, with the final deliverable being the development of a large (i.e. full) proposal. The proposed work directly addresses the following topics of interest: (1) Energy Analytics (e.g. Revenue Protection and Load Forecasting and Control), and (2) Customer Segmentation and Targeting. Catherine Wolfram is the Cora Jane Flood Professor of Business Administration at the Haas School of Business at UC Berkeley and Faculty Director of the Energy Institute at Haas, where she has taught since 2000. 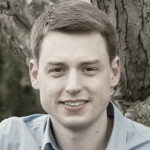 Dr Wolfram’s research interests cover energy and environmental economics, with a recent focus on electricity access and demand in the developing world. She is currently implementing multiple randomized control trials to evaluate energy programs in Kenya and India. Catherine holds a PhD in Economics from MIT.